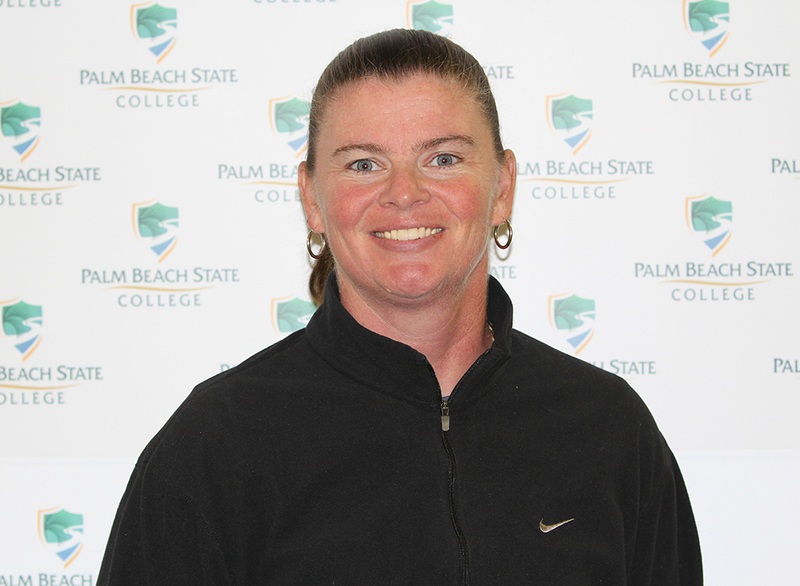 Before joining Palm Beach State College, Smith, a New Jersey native, was the assistant coach for women’s basketball at University High School in Orlando and the assistant golf coach at Seminole State College in Sanford. Her basketball coaching experience spans four states with two head women’s coaching positions at Seminole State College from 2006 to 2009 and at East Stroudsburg University in East Stroudsburg, Pa. from 2010 to 2015. At Seminole State College in 2008, Smith led the Raiders to a Mid-Florida Conference Championship and to a second-place finish in the NJCAA Region 8 State Tournament before the college discontinued the program. Even though her last few decades have been spent coaching, she also knows what it’s like on the court as she played throughout school and in college at Broward Community College and Florida International University. Last season, the team won the Southern Conference Championship. At the NJCAA District/FCSAA State Basketball Tournament, a loss in the first round to Tallahassee Community College kept them out of contention for nationals. Even though it’s a new season with a new leader at the helm, Smith says that people shouldn’t underestimate the team’s potential. She hopes to mold this year’s team to be very defensive oriented complemented with a high-octane offense. Smith currently has a roster of 10 on her team, with plans to add more before the season begins. The team’s first home game will be Nov. 14 against the College of Central Florida. Tryouts will be Aug. 25 at noon on the Lake Worth campus. Students who wish to participate must be enrolled full time and provide a completed physical form. For more information, contact Smith at smithmt@palmbeachstate.edu or call 561-868-3008. Welcome, Coach Smith, and I look forward to a great season! Welcome to the Panther Nation! Look forward to working with you and watching the women’s basketball team do great things. Welcome to the Pack Coach Smith!